When we're overwhelmed with things to do, especially as the holidays approach, it's good to remember to keep calm. 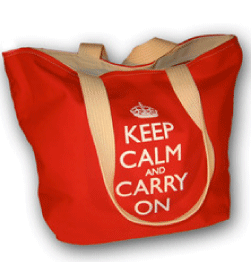 Keep Calm and Carry On themed products, based on British War Ministry posters in 1939, have been available for some time. But most of them came from the U.K. - so it seemed worth noting that this Keep Calm tote bag is available from Decorative Things, based in New York. 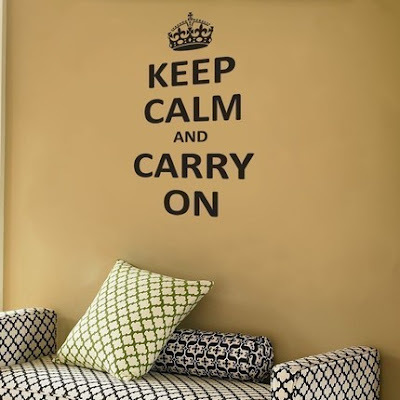 And then there are the Keep Calm wall decals sold by Dali Decals. 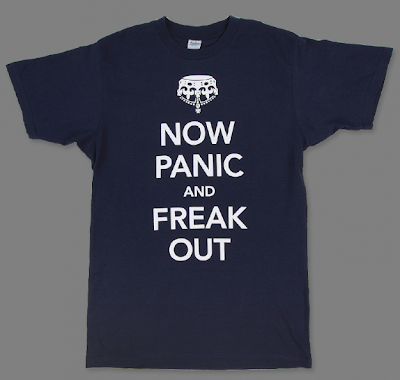 Finally, here's an option for those who just aren't into the keep calm mindset. I am so amused by that Tshirt. Moke, I'm glad I'm not the only one!